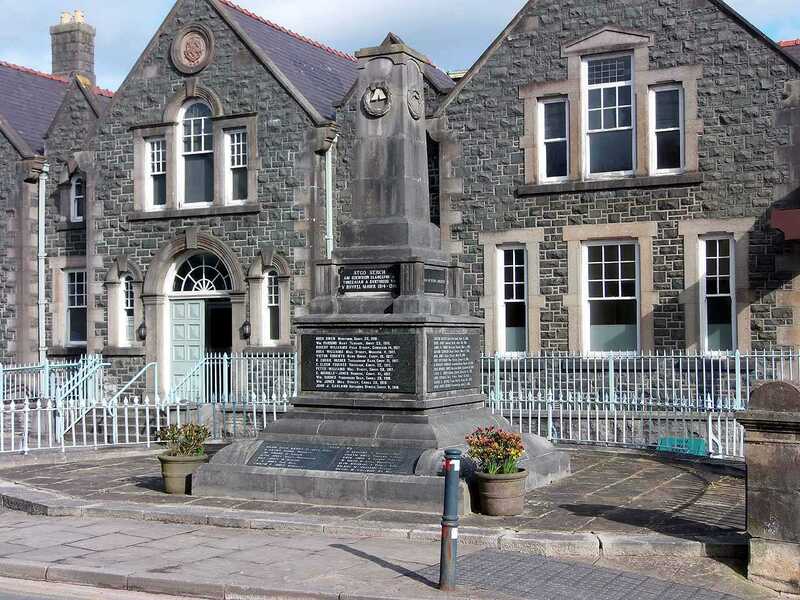 Anglesey, Llangefni War Memorial - front view. 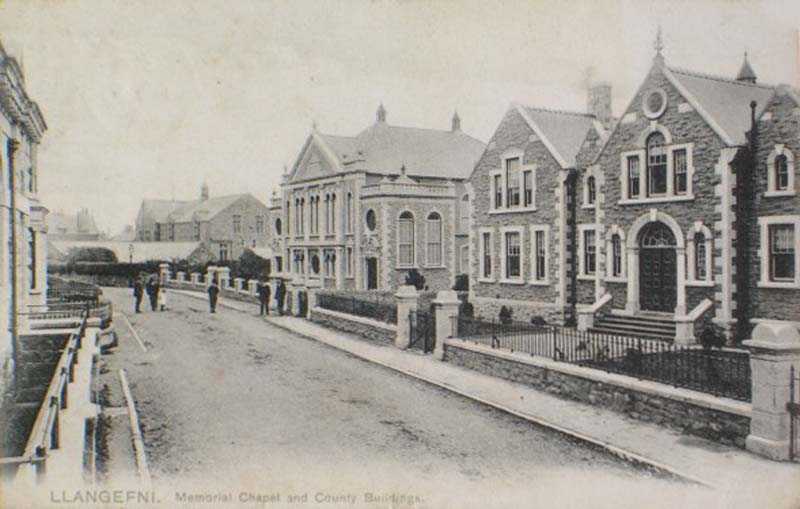 Anglesey, Llangefni, Memorial Chapel and County Buildings 1904. 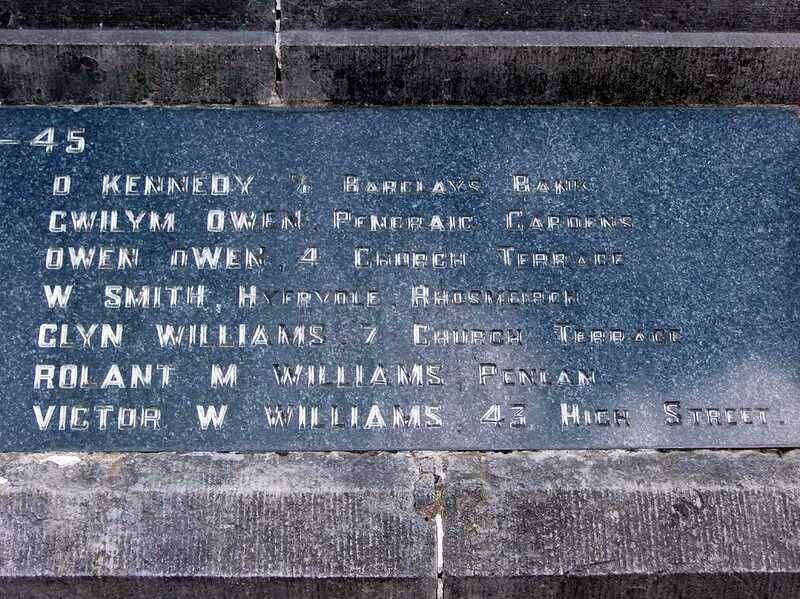 20 years later there would be a War Memorial there. 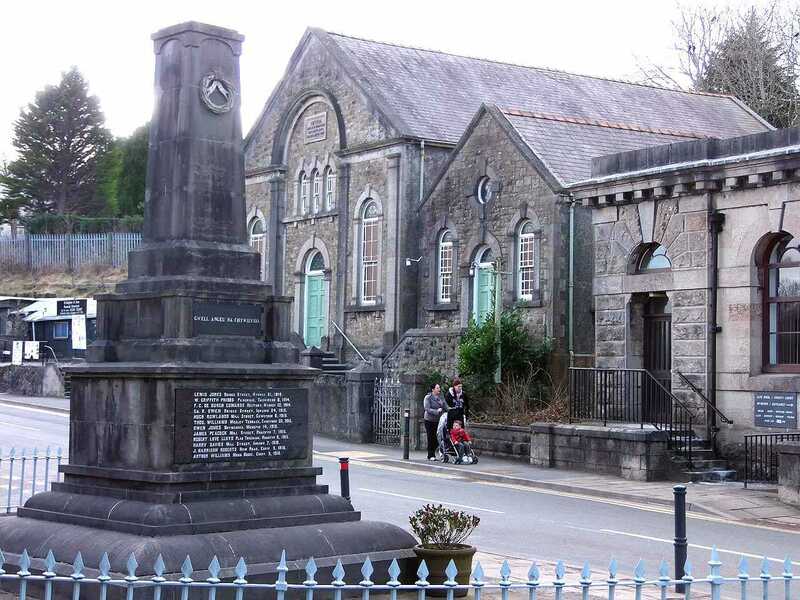 Llangefni is a mrket town and also the administrative town for the Isle of Anglesey in North Wales. 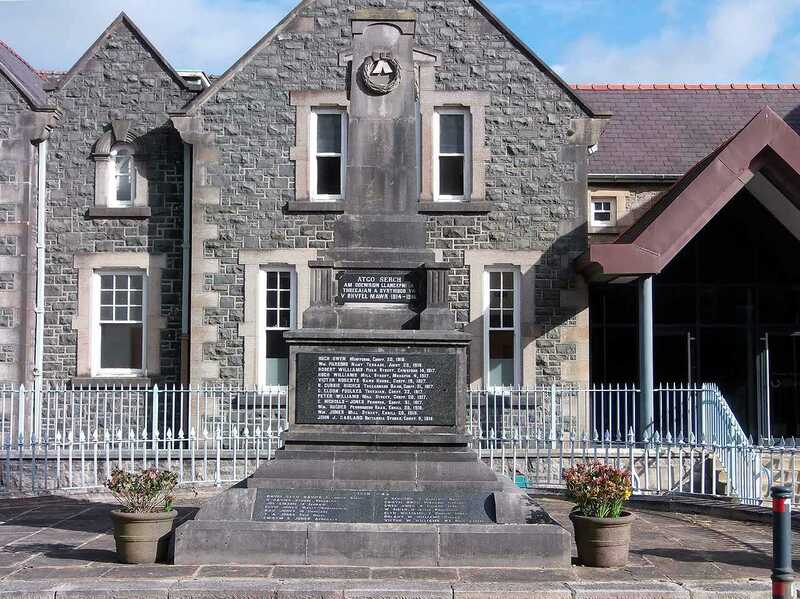 The fallen of two world wars are well remembered with School, Church and a Main Town Memorial. 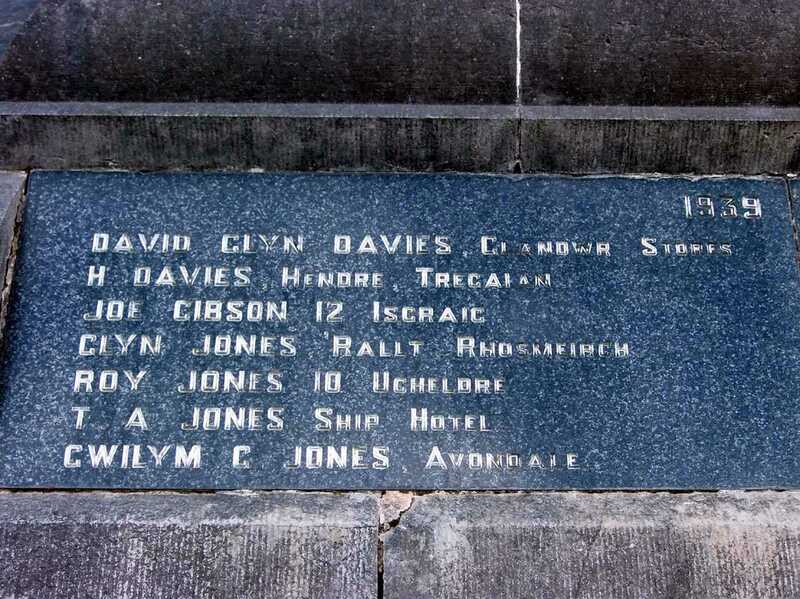 Doubtless I will find more in the chapels as well. 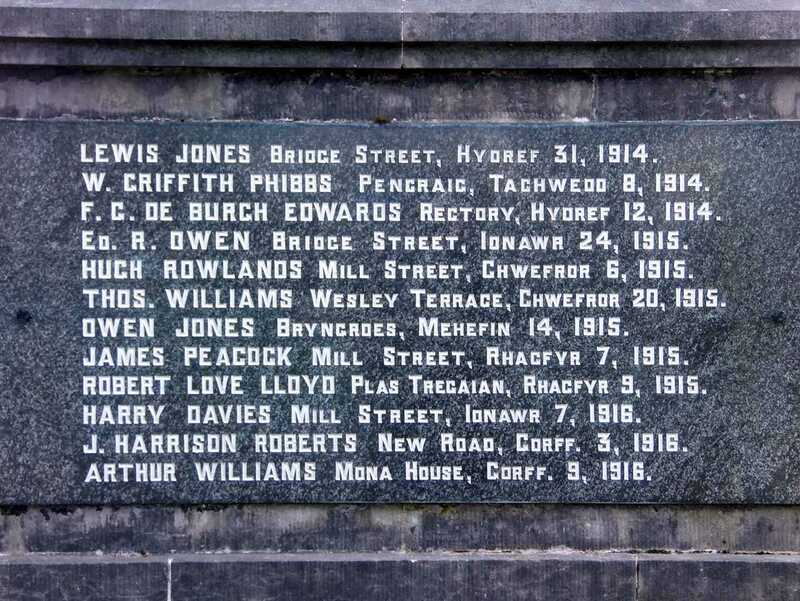 One sad fact in the statistics of Llangefni's young men is that the Rector of Llangefni Church during World War One (WWI) lost a son, Lieutenant Frank G. de Burgh Edwards, on October 12th 1914 aged 29 in France. 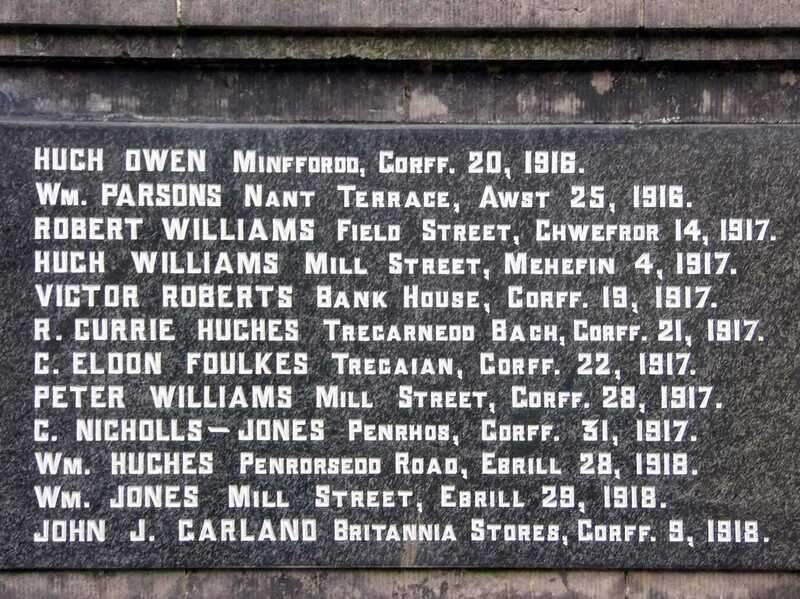 Then, during World War Two (WWII) the rector of Llangefni Church lost his son, Major Robert Tudor Smith, on October 24th 1942 in the Middle East. 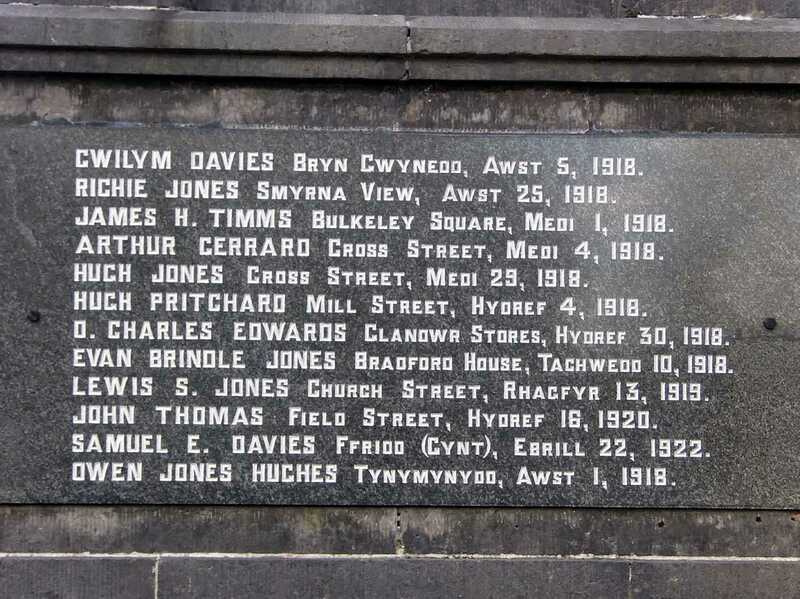 In fact, so many sons of our Vicars and other Clergymen died during the two wars, that they have a special memorial plaque just for them in Bangor Cathedral. 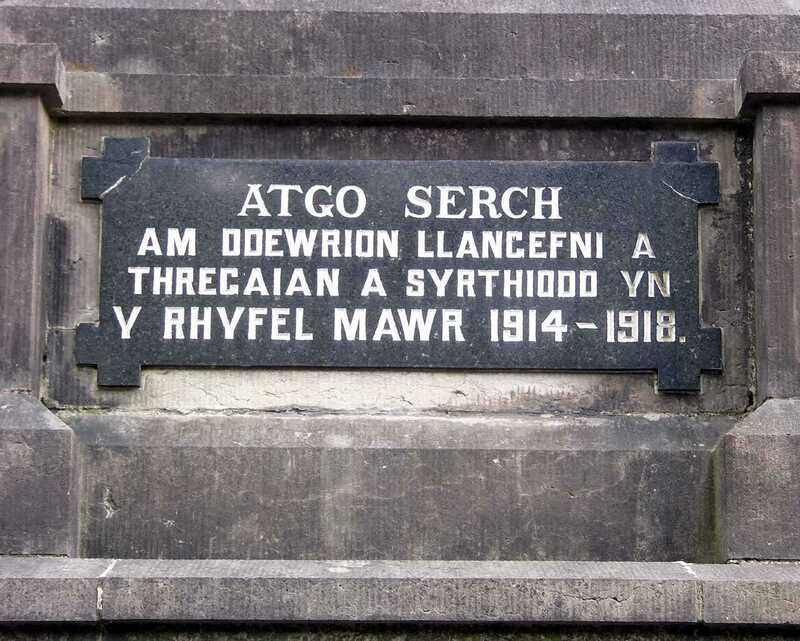 The Rector of Heneglwys Church (Bodffordd) also lost his son during the first world war.